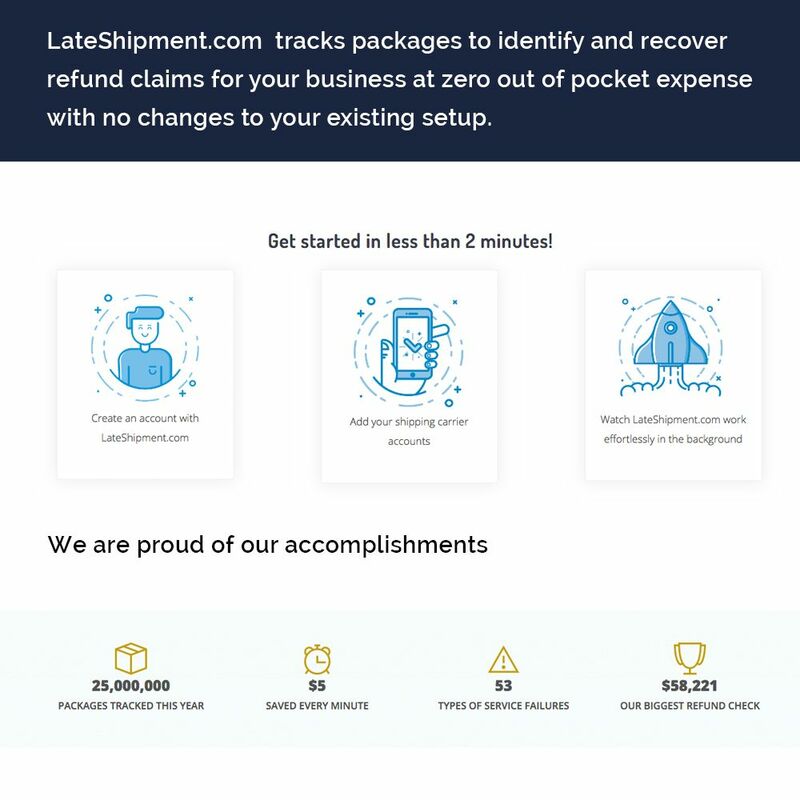 Audit & Refunds: In less than 2 minutes, LateShipment integrates with your shipping account, tracks every package, identifies 50+ service failures like late deliveries, files claims and ensures that refunds are credited back to your account. 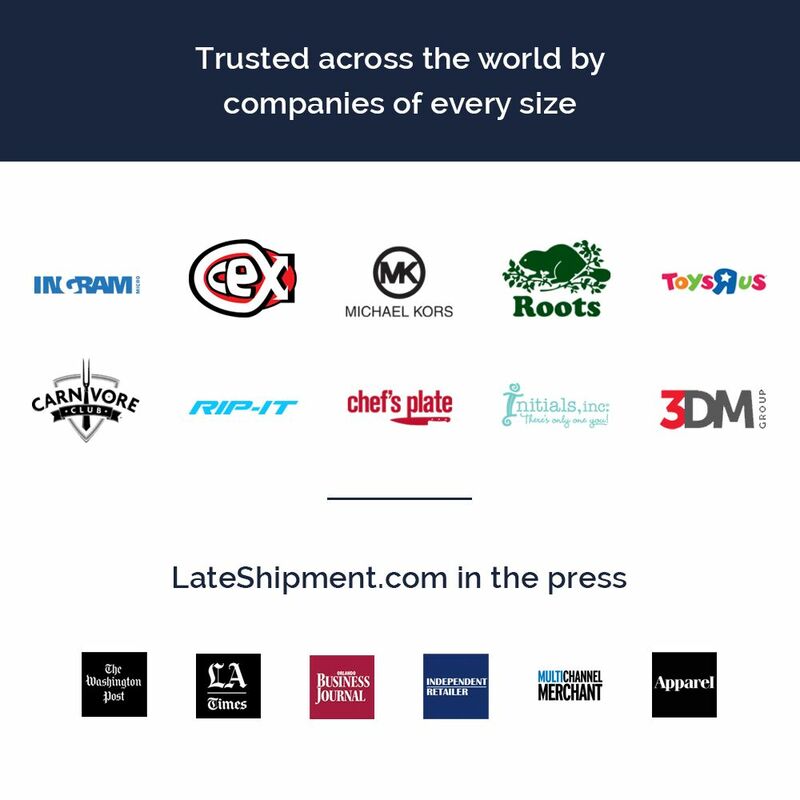 This makes sure that your shipping carrier is always held accountable for the performance promises they make. 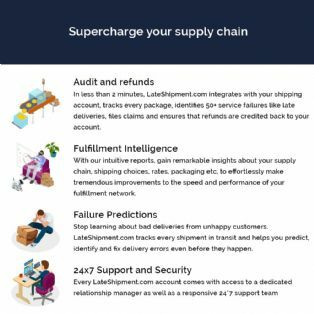 Fulfilment Intelligence: With our intuitive reports, gain remarkable insights about your supply chain, shipping choices, rates, packaging, etc., to effortlessly make tremendous improvements to the speed and performance of your fulfilment network. Our dynamic fulfilment reports always present an accurate and actionable view of your current supply chain. 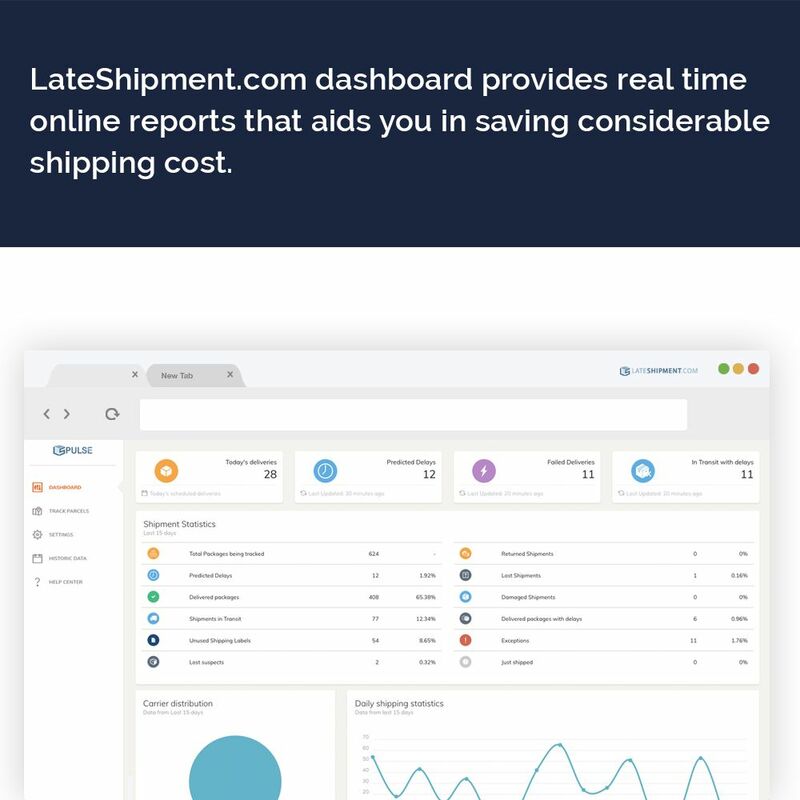 Shipping Analytics: With LateShipment's carrier performance reports, understand exactly how your shipping carrier is performing and gain access to the data necessary to improve their performance, negotiate better shipping rates, and eliminate poor shipping choices. 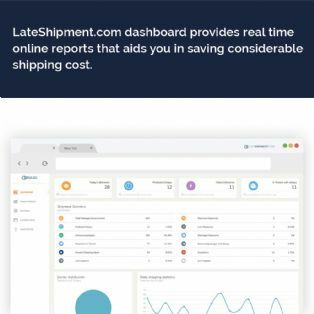 The reports provide vital performance data at not only a glance but also deep dive into that data at a granular level. 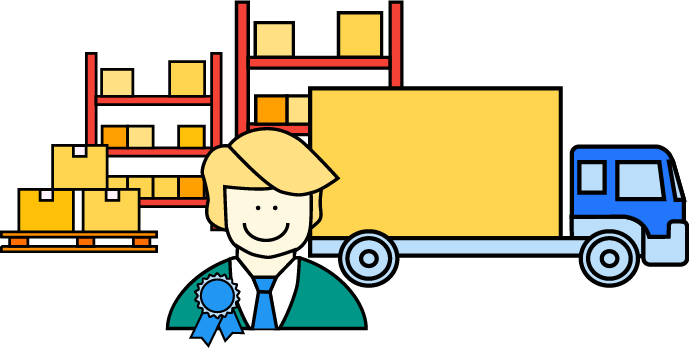 Failure Predictions: Stop learning about bad deliveries from unhappy customers. 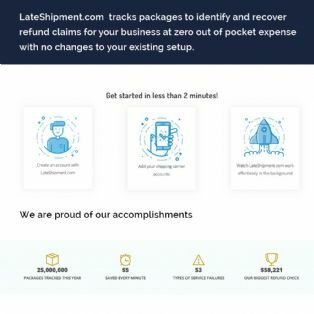 LateShipment tracks every shipment in transit and helps you predict, identify and fix delivery errors even before they happen. 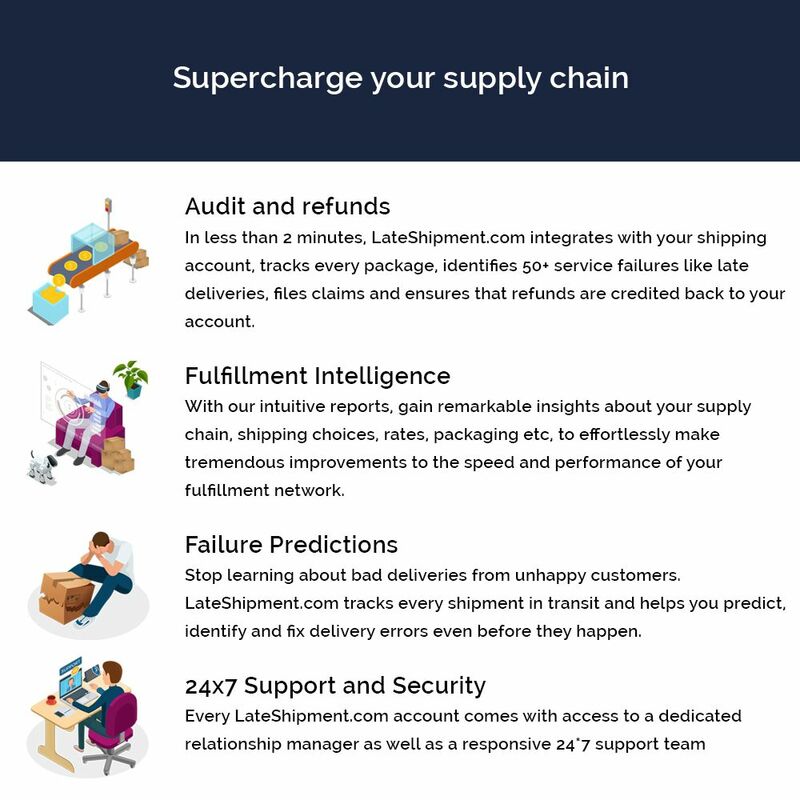 Our failure predictions ensure that your customers always receive an exceptional last mile delivery experience with every order.